The Torah is central to the Jewish faith. In literal translation, the word “Torah” means teaching or instructions. In Judaism, the Torah stands for Teaching or Doctrine. The Torah is central to the Jewish faith. In its literal translation (ה ָורֹתּ,), it stands for Teaching or Doctrine. The Torah understood in this fashion consists of the Written Torah and the Oral Torah. The Written Torah (Torah Shebichtav) contains the first five books of the canon of twenty four holy books (Tanakh) of Judaism. Therefore, the written Torah, known as Moses’ Pentateuch, constitutes the first Five Books of the Hebrew Bible, known to Christians as the Old Testament. According to the Jewish tradition, the teachings contained in the Torah, both in its written and oral form, were revealed to Moses and the Jews on Mount Sinai and during their journey from Egypt to the Promised Land, written down by Moses and retold from generation to generation. A set of principles concerning the rewriting of the Torah would guarantee the consistency of the message. 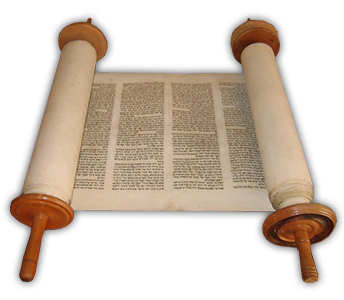 The traditional form of the Written Torah is the Torah Scroll. The task of rewriting the Torah is conducted by scribes known as Sofers, while the rules governing this activity are very rich and diverse. Their superior goal is to ensure absolute consistency of the message. Scribes do not necessarily need to be rabbis, but acquiring the knowledge and calligraphic skills demanded from them by the community constitutes a very serious challenge. The Hebrew titles of the books of the Torah originate from the first words of each book (compare the notion of “Incipit”). Hence, “Bereshit” translates to “in beginning”, Szemoth to “Names”, Wajikra to “and He called”, Bemibdar to “in the desert of” and Devarim to “Words”. The primal structure of the Torah is derived from the Masoretic Text. It divides the entire Pentateuch into 54 parts and allows to read the whole Torah during a complete year, as one Parsha is designated for a single week. Hence Parshas used to be called weekly readings. The division unto chapters and verses originates from the Middle Ages and is a product of the Christian tradition: chapters appeared around the 13th century, while the verses – around the 16th century. Within this division, book are divided into chapters. There are from 27 (Leviticus) to 50 (Genesis) chapters in each book. Chapters consist of verses – there are approximately 30 verses on average in each chapter. The shortest chapter is 8 verses long (the 12th chapter of Leviticus), while the longest one – 89 (the 7th chapter of Numbers). Interestingly, the tradition of dividing the Torah in this manner has been accepted in Judaism – Cylkow’s Torah is divided into chapters and verses (whereas this electronic version additionally introduces the division into Parshas). In Judaism, a profound interpretation of the Torah is possible only in Hebrew. This springs from a peculiar situation of translations of the Torah to other languages, including the Polish translation. When studying the Torah in its original form, we interpret on 4 levels: direct, symbolic, comparative and mystical. In Hebrew, these levels are called, respectively: Pszat, Remez, Drasz and Sod (פְּשָׁט, רֶמֶז, דְּרַשׁ, סוֹד), creating the word Pardes (פרדס), which literally stands for “garden” or “orchard”. For these reasons, translations unto other languages are a very difficult and ambitious task. Despite this, translations are possible and desired. 2000 years ago, the translation from Hebrew to Aramaic (Targum Onkelos) was created, one that to this day remains very important for interpreting the Torah. 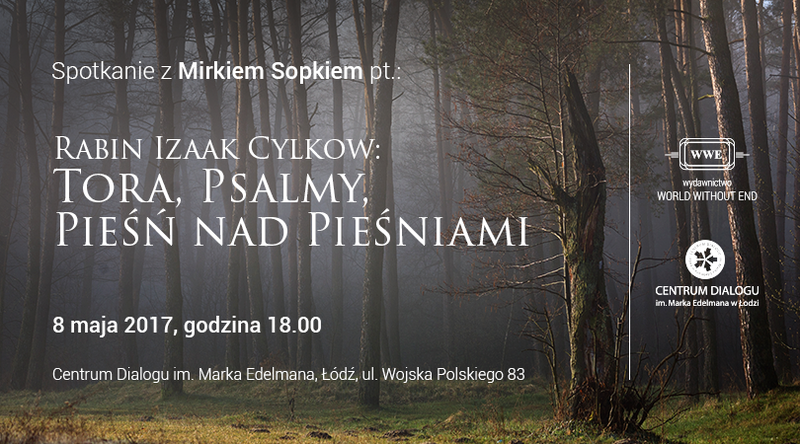 A very beautiful account of this issue is given by rabbi Sacha Pecaric in a conversation with Paweł Jędrzejewski, in the book ““Czy Torę można czytać po polsku? (“Can you read the Torah in Polish?”).“. In this context, one must remember that understanding the Torah requires many years of profound studies during which it is necessary to learn about the commentary tradition, in particular with commentary by Rashi. An edition of the Torah that consolidates the modern translation done by rabbi Pecaric with traditional commentary is available today in Poland. It is available at the Pardes publishing house as Tora Pardes Lauder.